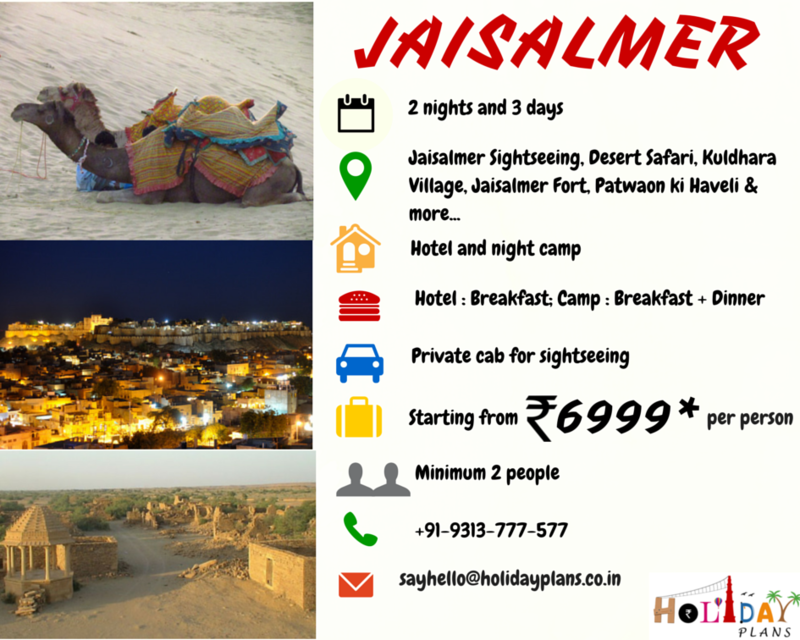 Home » Camel ride » Forts » Golden City » Golden Fort » Haveli » Holiday » Holidayplans » Jaisalmer » Kuldhara Village » Offbeat » Palaces » Patwon ki Haveli » Pokhran » Sadar Bazar » Sam Sand Dunes » Thar Desert » The Gadsisar Lake » Travel » Sunset and Desert Camping in Thar Desert! 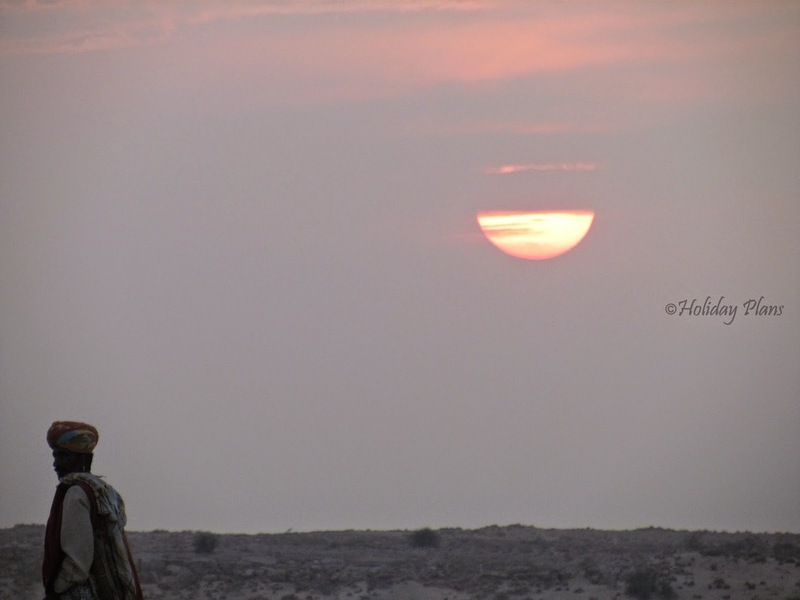 Sunset and Desert Camping in Thar Desert! It had been over 3 months since I have been on any journey. The wanderer inside was coaxing me now and again to set out for another excursion. 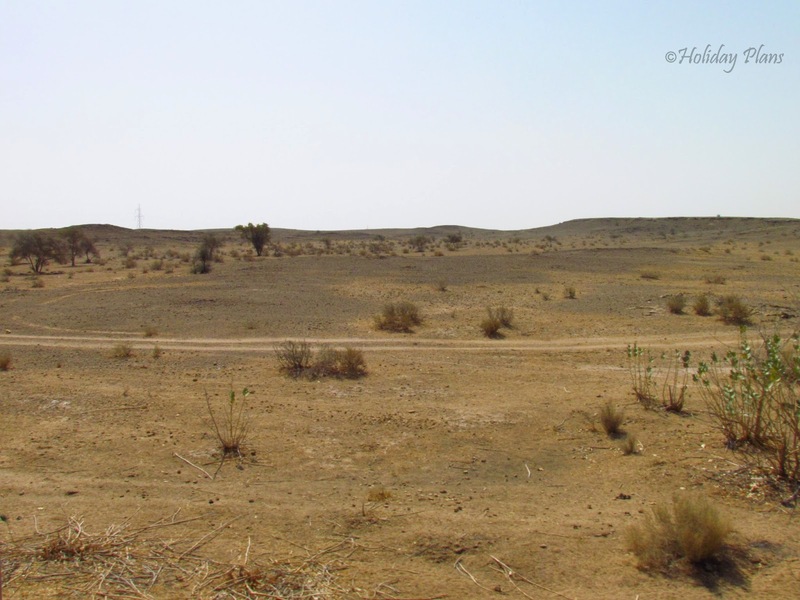 Well, the last time I was surfing the net, I came across pictures of the Thar Desert; and they got stuck so deep in my mind that a plan was made to turn these “pictures in mind” into something more substantial. So finally we four wanderlusts departed from Delhi on the DLI-JSM Express travelling towards Jaisalmer with loads of excitement and anticipation within. I had seen deserts and camels only in movies and never had the chance to visit one before so evidently being the first encounter with the “sand dunes” was enough to take my excitement to a whole another level. 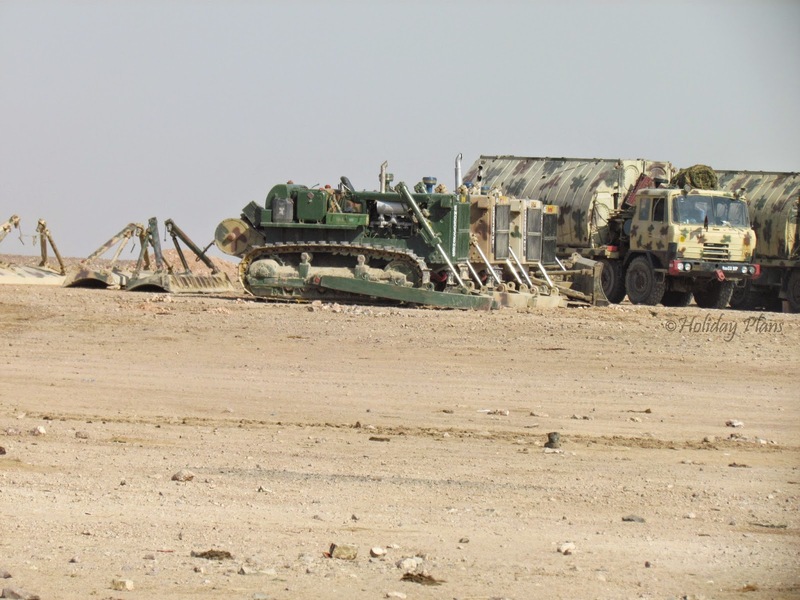 The train route is such that it passes through Jaipur , Jodhpur and Pokhran ( yes the same Pokhran famous for The Pokhran Test Range, a key component of India's nuclear programme). 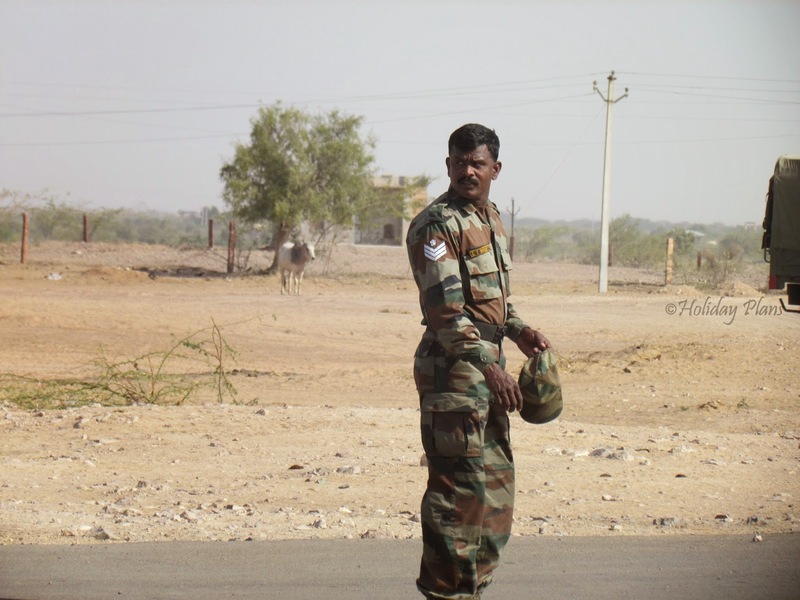 There is ample amount of Military presence in Pokhran area and it can be easily seen from the train itself. 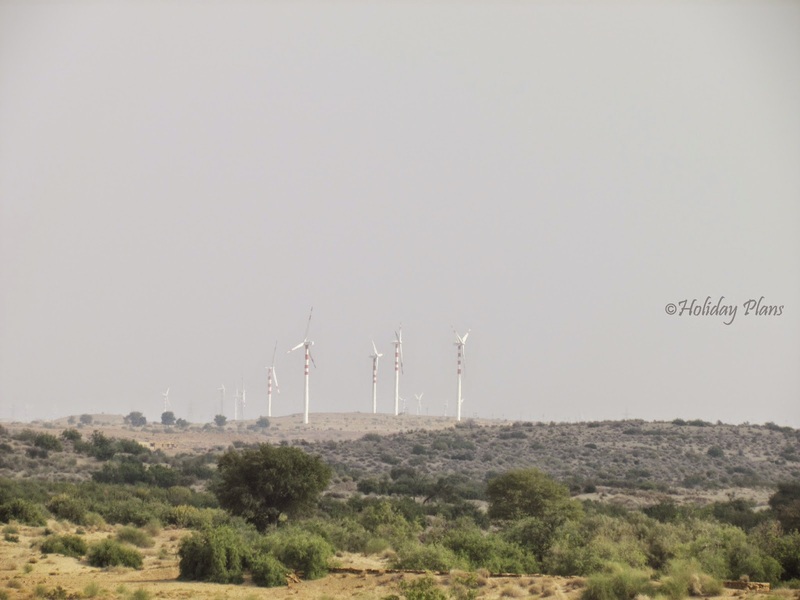 Moving further from Pokhran the scenes outside were very different from a typical train journey. Instead of the country side we were seeing barren land and sand everywhere. And the view was beautiful in its own way. We reached Jaisalmer and ate something to keep ourselves going. This city is called the Golden City and we became convinced of this “name” once we entered this city. Houses – Golden, Hotels – Golden , Banks/Shopping Commercial – golden!! I even spotted some of the bill boards to be Golden! 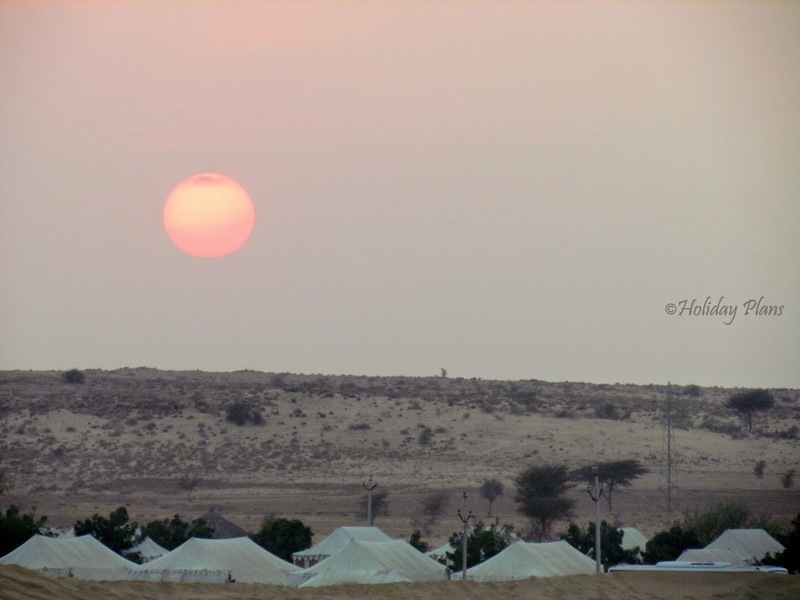 The main attraction of the trip was witnessing the sunset and camp in the mid of desert, so we didn’t waste any time and straight away headed towards the Sam Sand Dunes. The road to Sam Sand Dune is just fabulous in its own way. You can see barren land everywhere and in middle of such place a well tarred road just caresses its way through the desert! It was a scene taken right out of the song “Hairat” in movie “Anjaana Anjaani”! 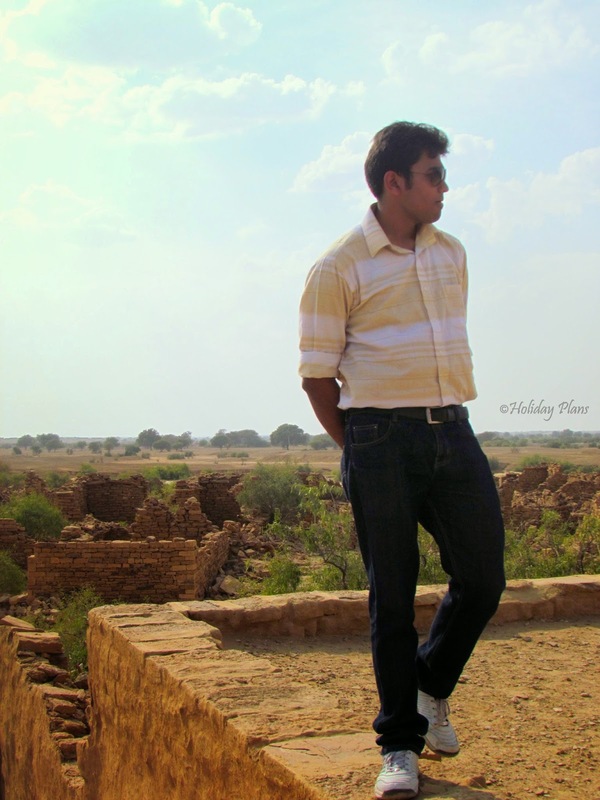 I had read about a haunted village – “Kuldhara Village” which comes in the way of sand dunes. 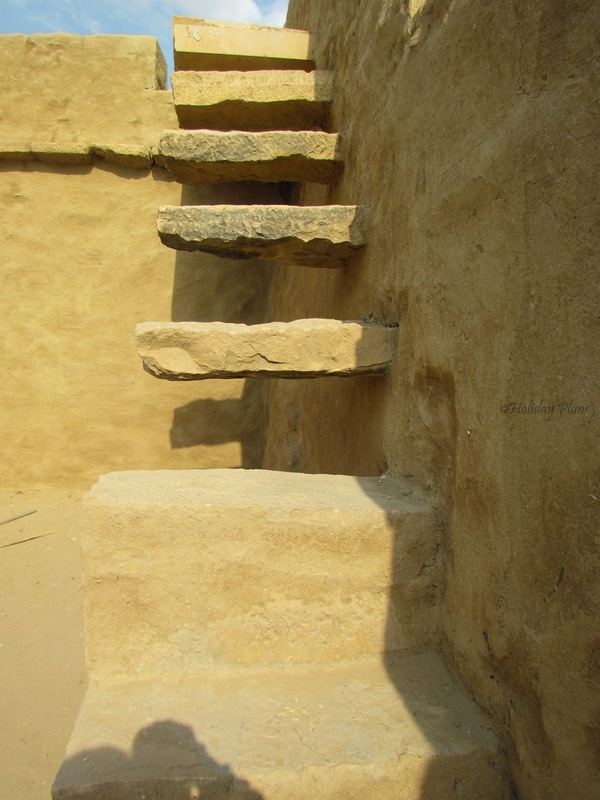 As the “lore” goes, long time ago the Brahamans used to live in this village called kuldhara. 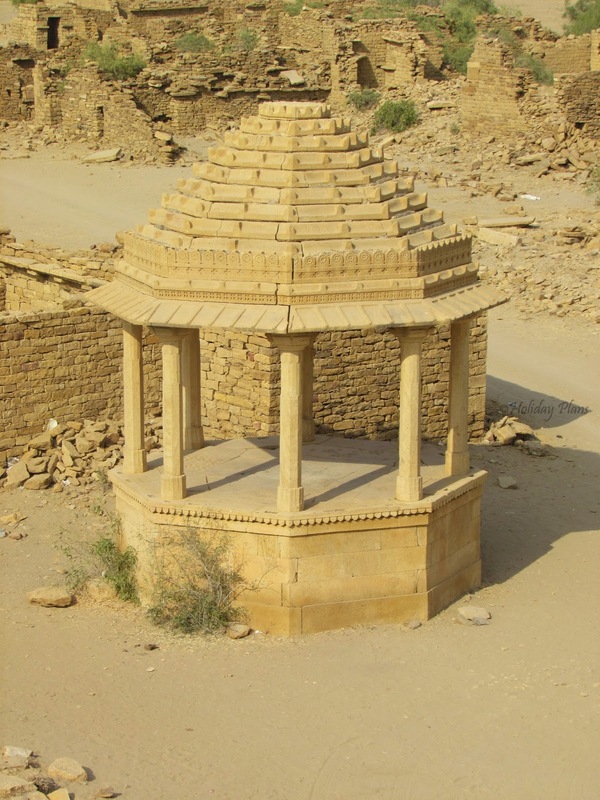 At that time a Muslim Ruler ruled Jaisalmer , he asked one of the Brahman girl of this village to marry him. The natives didn’t take it positively as the ruler was Muslim , cursed the ruler and vacated the village overnight. 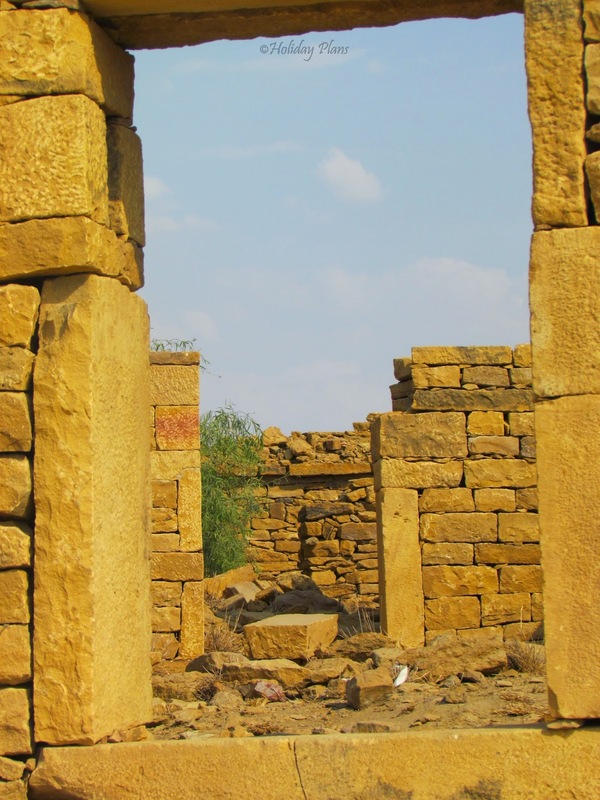 Nobody knew what happened to the natives of Kuldhara , where did they go ? Were they murdered? Did they commit suicides? People here believe that still the place is haunted by that girl. I got a chance to visit the village at sharp noon time so probably there wasn’t anything interesting that could have happened. (and luckily it didn’t happen!!!). The village had an entry ticket of Rs. 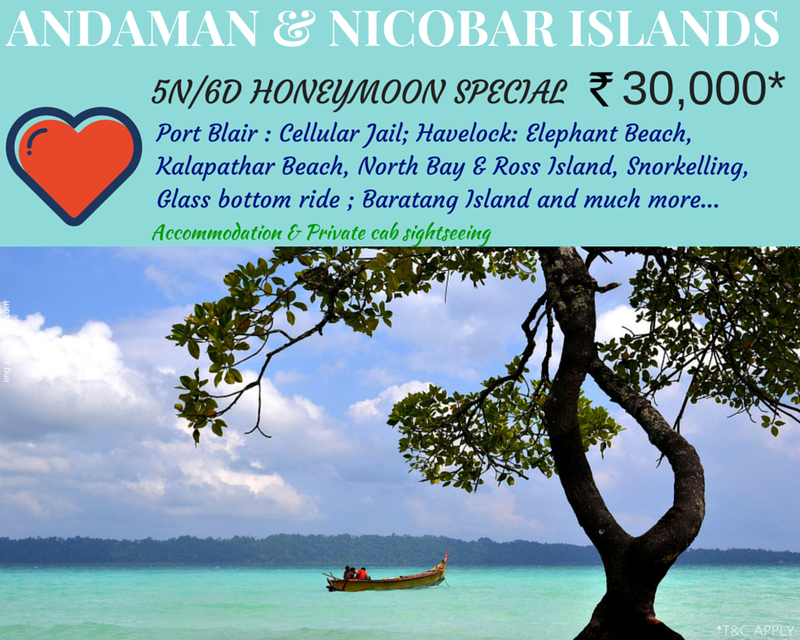 10 per person and Rs. 50 per car. Timings being 8AM – 6PM. The village is completely in ruins , but it is indeed very different from any other ruins you would see. Again everything is golden and few of the structures are still standing tall and are in good shape. Nevertheless it was a very strange and new kind of feeling visiting such place. Pictures below will help you understand the feel. Fortunately, our prayers were heard and the weather once again got clear in around half an hour. 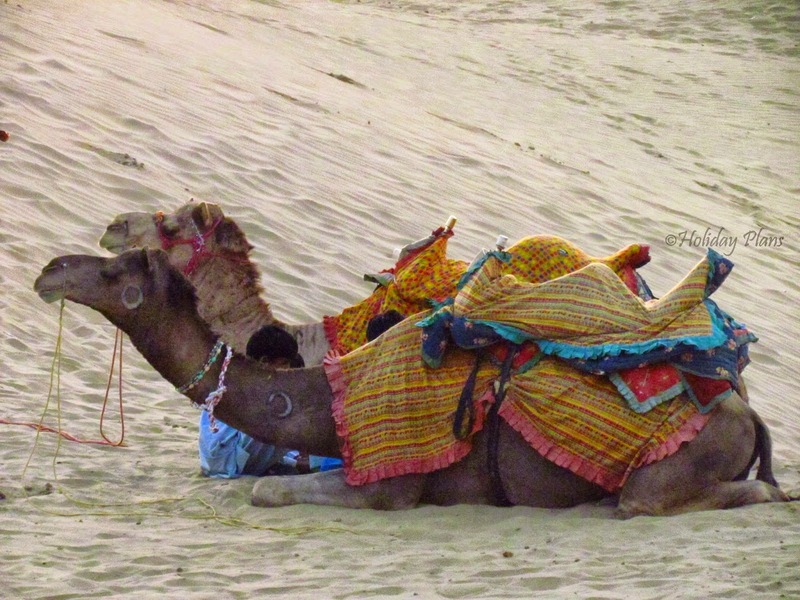 Till then we had to wait to get on the camel – ships of the desert! 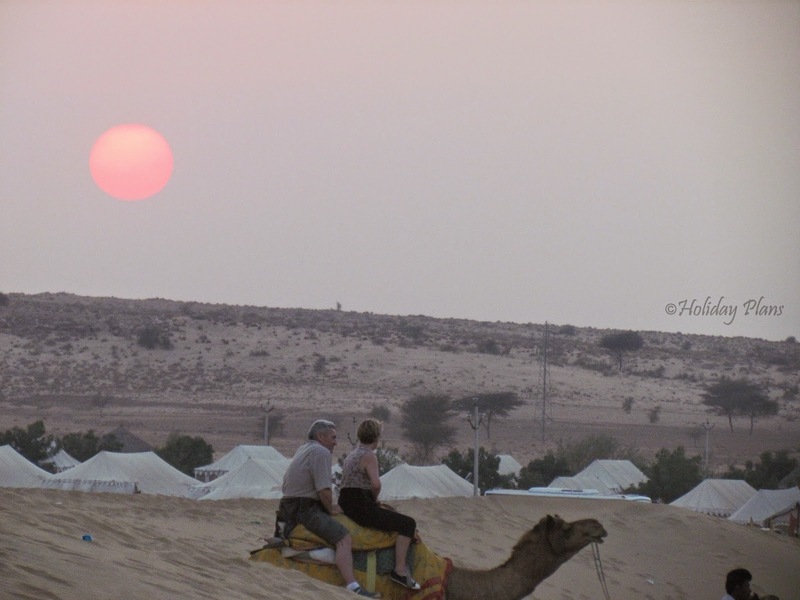 Riding a Camel in Desert is altogether a royal feel which is a must do at least once! The Camel owner was quite a friendly guy and he even discussed with me where he lived and that he had been to the “International Borders between India and Pakistan” ( border lies just 40kms from the place I was at that time). In no time we were in the midst of the desert and what a view it was! Camels and Camels , Sand and Sand! People dressed up in Rajasthani dresses. It seemed like that my dream had come true and I could just lay down on the sand facing towards the sky! People selling eatables can be found easily. Softdrinks , Chips and some other snacks were being sold. I was offered a can of beer too! I was like in the middle of the desert and I was wondering where on Earth did they get all that stuff from!!! :-o Also you can opt to go further deep in the desert near the borders and see the temple that featured in the movie “Border”! We were in mood to go but then it was the time when sun was about to set. We dropped the idea of going further in desert. 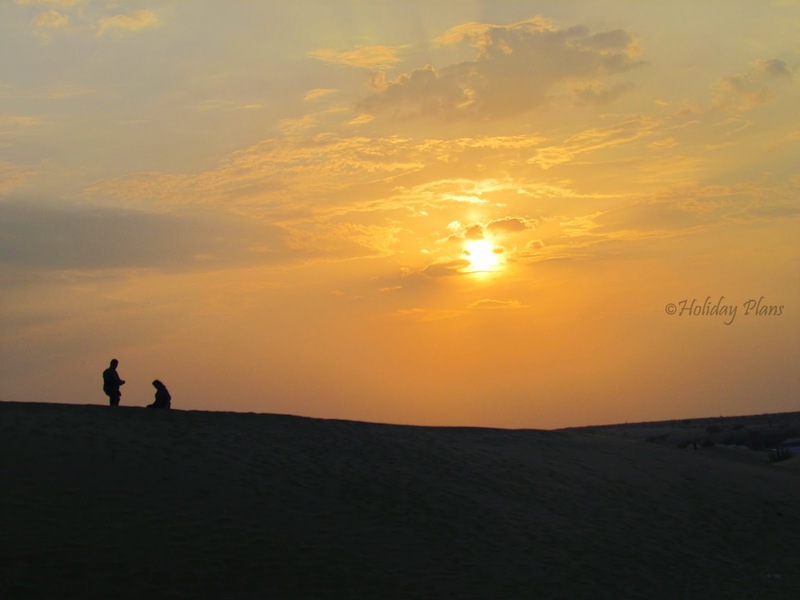 Witnessing Sunset from mid of the Desert is a view you do not get to see every day. At the same time it is one of those surreal views for which I would definitely visit again! Whatever the pictures on the net promised, I was delivered the same! Post sunset we headed towards the camp where we were going to stay. 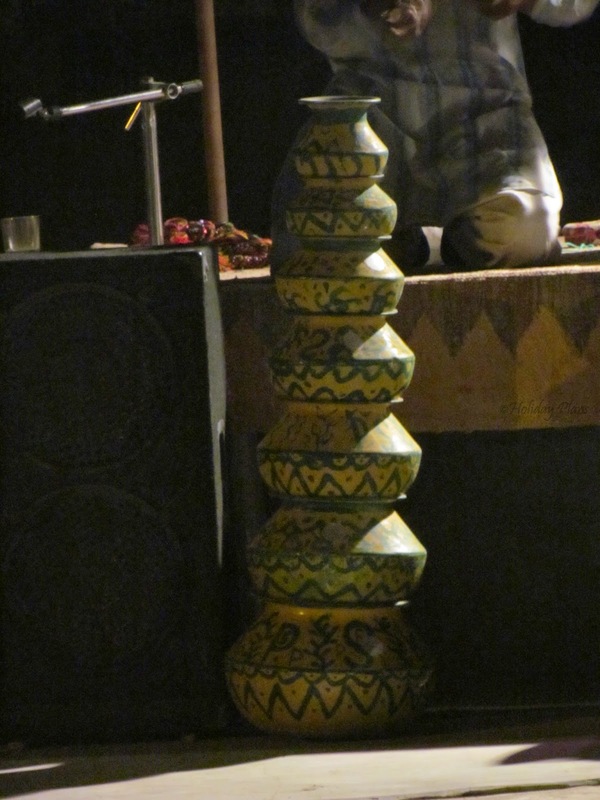 We were welcomed by the traditional “tika” which is an Indian culture (more so everywhere in Rajasthan you get welcomed in this way). 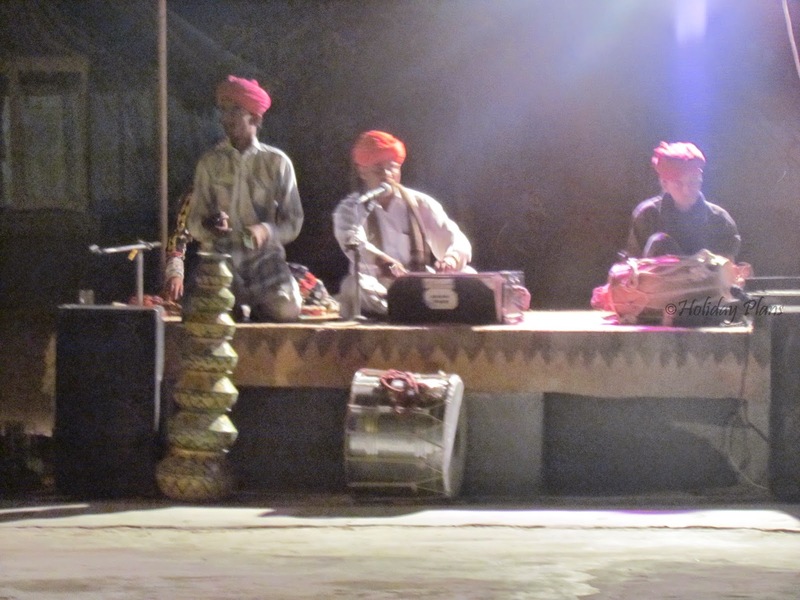 Some traditional music and dance function was being organized before the dinner. Post dinner we sat in front of our tents, gazed upon the stars and the moon. (Thank God for the clear sky after that overcast 30 min stunt :P) Unfortunately the battery of the camera had died out since then, but the views of the clear sky from the mid of the desert are the ones I would like to cherish my entire lifetime! And almost at the same moment the thought that I was working in office till yesterday and now I am chilling here in the desert brought an extra inch to the smile on my face. Calmness, Peace and Serenity! These three words aptly define the feelings and atmosphere at that time. 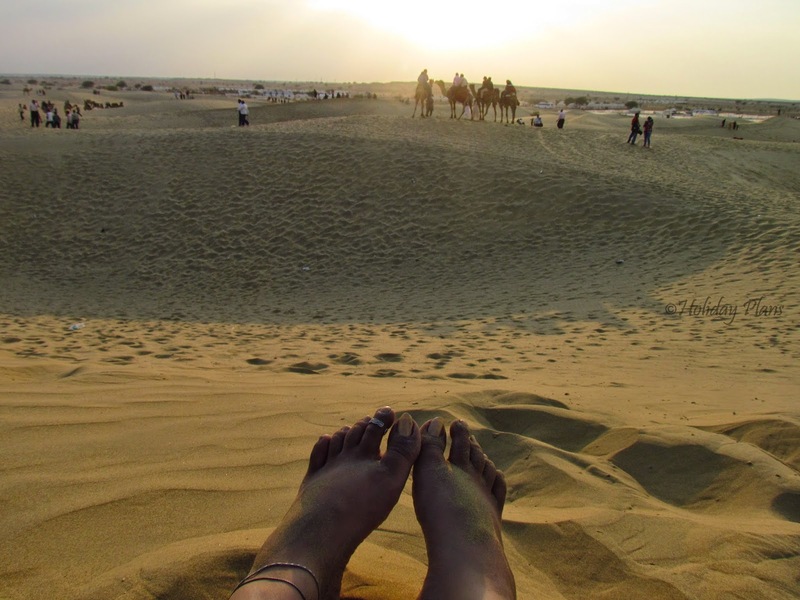 We will cover the local Jaisalmer - Golden Fort, havelis and the "Lake" in desert in the next article! Till then enjoy the changing weather here in northern part of India! 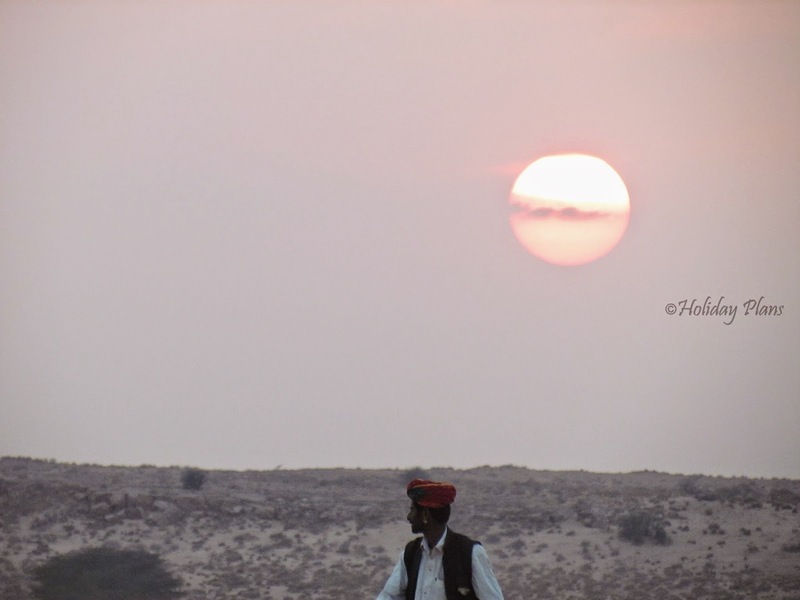 To book a customised tour to Rajasthan, feel free to get in touch with us. Stay connected for next article. 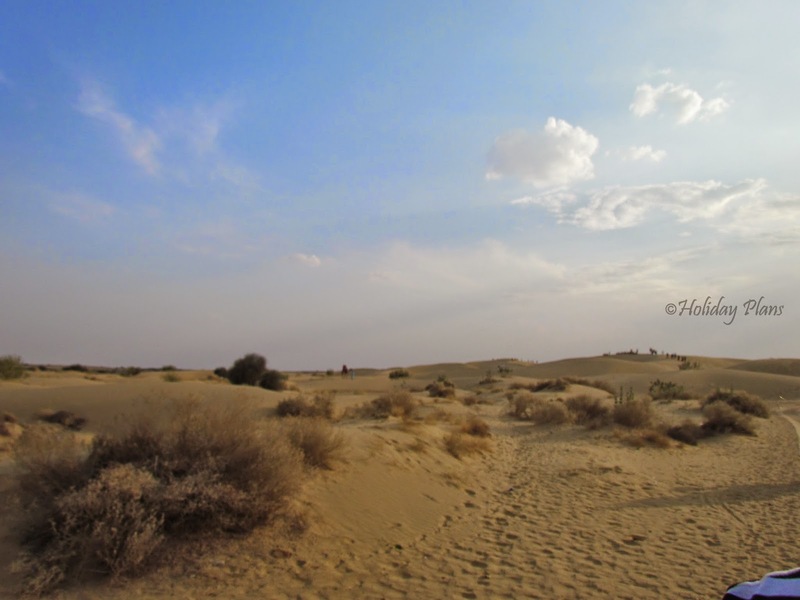 Thanks for reading and check out more exclusive pics of the desert and kuldhara in the Gallery section. Link for the next article- click here. Looks totally exciting! Beautifully written as always! everything high class, nothing vulgar. heritage bhi yaha ka sabse finest hain. 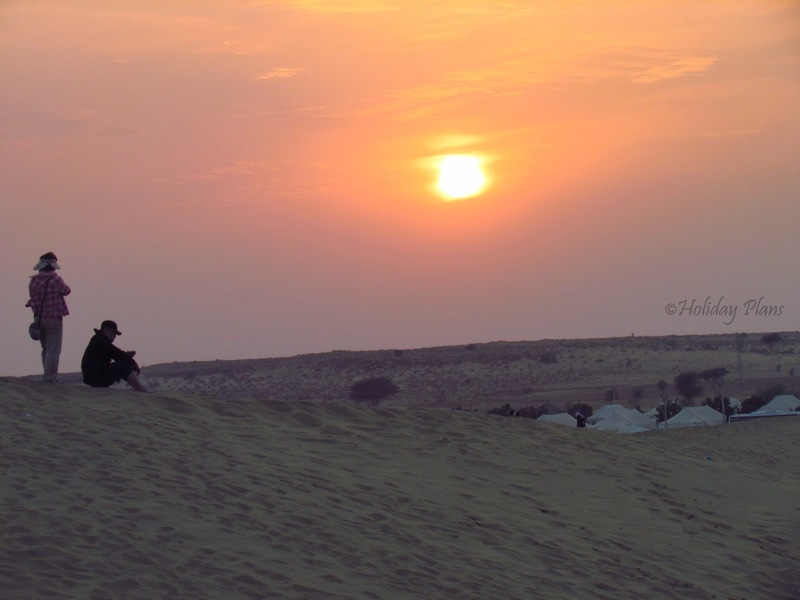 A nice article which depicts how beautiful is camping at Thar Desert!